The Lotus Children’s Centre now cares for 140 children, and the Lotus School is now in its second year of running. 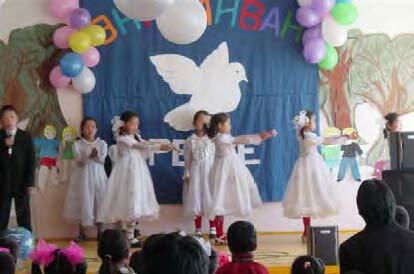 The School educates 80 of the Lotus Children, from kindergarten to grade 4 (ages 3 to 12). The school at the moment has a total of 99 children. It is entirely supported by volunteers. Maria from England is the present head-teacher and the school pays special attention to physically and psychologically disadvantaged children. Children in Mongolian style uniform in red and black. For the home children, the uniform helps the children differentiate between the informal home environment and more formal school environment. The staff spent all summer renovating the new school building and preparing for the school year. We now have two beautiful school buildings for the children. Class sizes are very small, as our children need a lot of extra attention due to their difficult life experiences. The biggest class has only 15 students, and the smallest has 6. We have also accepted our first student from outside the children’s home. The school is now developing on many levels: we are attempting to introduce new education and behaviour control methods, a very attractive school uniform based on traditional Mongolian clothes design has been introduced; and much to the happiness of the students, the basketball court is now being built! The special needs class, for students with mental disabilities or behavioural and learning problems has also been a resounding success. The teenage girls have been learning traditional Mongolian crafts, including sewing and felt making. They have also been learning house renovation skills. We hope this will prove to be a useful practical skill for their future. We hope the developments taking place at that Lotus School will positively benefit the children’s behaviour and awareness in all areas of their lives. 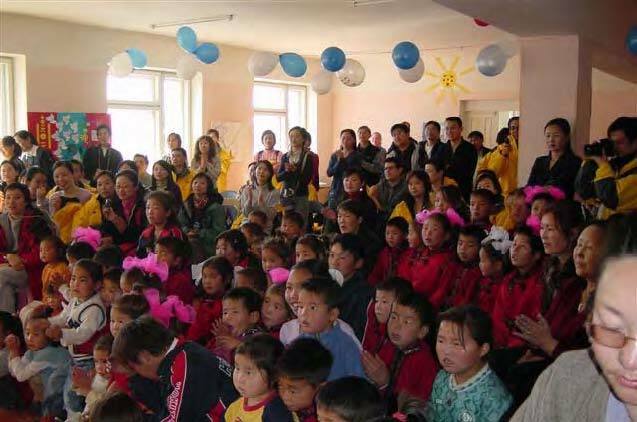 The Lotus Centre has now extended its activities into a city outside of Ulan Bator , Erdenet. Until now there was no facility dedicated to caring for street children. 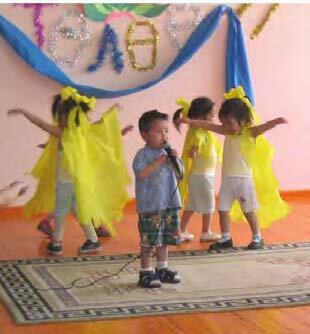 The first children are now living at the Erdenet Centre.